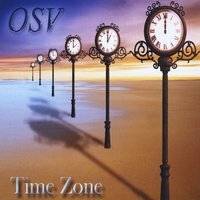 With Time Zone, OSV releases their eight album, following their tradition by serving us an interesting and challenging album. OSV's music is progressive, instrumental and tends to shift more and more towards the heavy fusion side of music. Like I wrote in my previous review (2015, see review) the name OSV no longer stands for the names of the current band members, for original keyboard player Brandon Vaughn has only returned to add some soloing on the previous album but the black and whites have been played by Mathieu Fiset for quite a while now. Both founding members; drummer Gary Oppert and bass player Steve Sexton remain and also guitar player Marcel Coenen is a steady factor and has contributed his flashy playing to OSV's albums for several years now. Time Zone goes back to a sort of band feeling, with the only guests Jonas Tamas and Lee Luland contributing on two and one song respectively. Therefore, the impact of the Dutch axe wielder is massive on this album, sure I guess the recorded parts have been sent back and forth and sometimes this shows. But generally Time Zone celebrates Coenen's fabulous playing especially when piano and fusion minded keyboards are used to create a perfect balance in the music. Listen to the album's opener Hour At Hand and you will find strong piano alongside a cool Hammond organ , topped off with amazing soloing by Coenen. The following Red Code takes the music a step further towards Planet X, LTE and Cosmosquad; heavily drenched in fusion and still retaining the accessible melodies. Musically, Time Zone has a prominent bass guitar in the mix, something bass fanatics really will appreciate, but sometimes the bass takes away the attention while there are nice things going on further back in the mix. Not a disturbing thing, but it has to be said. Merciful Fate sees both Jonas as well as Lee guesting on the guitar changing the style slightly; a nice addition and variation. Although I do appreciate the fine compositions on the album and love the well created interaction between keys and guitar, there is one thing that starts to annoy me after several listening sessions. To me it sounds like founding member Gary Oppert has turned into a machine. Are his parts programmed? To me it does sound that way. My overall impression of the album is synthetic, purely because of the way the drums sound on the album. Where the bass sounds great; a bit too loud, but not too disturbing as I wrote, the sound of the drums definitely are the weakest link on the album. Enough nagging, Time Zone could follow in the footsteps of the bands I mentioned before and the jazzy influences of the piano make my heart melt a bit. Lapse Of Judgement is close to brilliant and Great Divide is an awesome fusion ballad. It's just the production of the drums that hold me from putting OSV on the same level as Planet X. The compositions definitely are up to Planet X standard, so we'll have to wait until next year to find out how the successor of this album will sound.